Fall is a wonderfully crafted one shot from publisher 215 Ink, about Josh Reyna, the new kid at school, who has just moved to Texas with his parents. Josh misses his old life, most of all the friends he had to leave behind only to come to new place where he feels completely alone. One night while watching a meteor shower, a UFO containing a little green man with a never-ending appetite for junk food crashes in Josh’s yard. The two instantly become best friends and now suddenly life is not so bad in Texas. After a few seemingly perfect weeks, the relationship between Josh and Russ changes dramatically, after Russ discovers the truth about life on Earth. He sees how badly humans treat other species and even one and another causing him to see the entire race as evil as the complete history of human kind unfolds within the confines of his super powerful brain. At first Fall felt as if it was going, to be a straight up homage and modernization of Steven Spielberg’s mega hit E.T. for an older crowd, but due to a very clever and unpredictable plot twist, it ends up being so much more. The story feels very familiar; any kids of the 80s or 90s that grew up watching many B children movies will feel right at home. After the huge success of E.T., many studios tried to create their own version leading to this story being retold countless times. This created a certain level of nostalgia for me, securely placing a smile across my face. 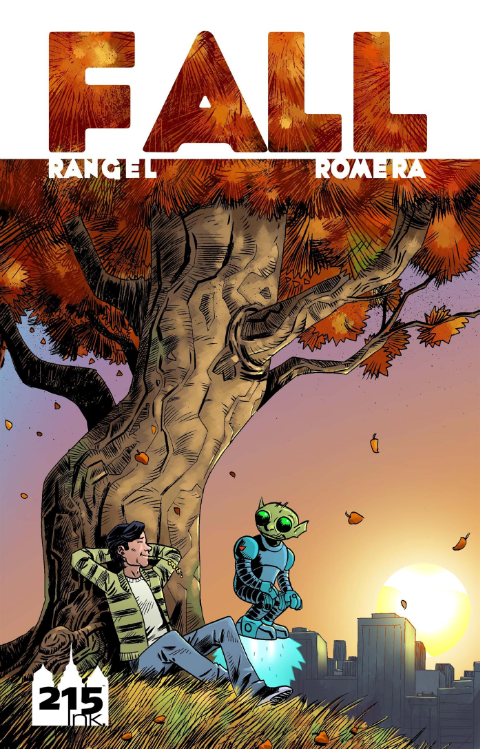 Author, Fabian Rangel Jr., does an excellent job at developing the relationship not only between Josh and Russ, but also the relationship between Josh and Lisa, a girl who he develops a major crush on, especially considering the time limitation of the story mostly taking place in a two week time period. With the before mention plot twist that I will refrain from spoiling for any potential readers, this book becomes a sincerely memorable reading experience. Also I love artist Juan Romera’s attention to detail, the story takes place mostly in 1995 and small details like a Nirvana poster hanging on Josh’s room ensured the smile on my face would not fade anytime soon as I pressed on through each attention grabbing panel. 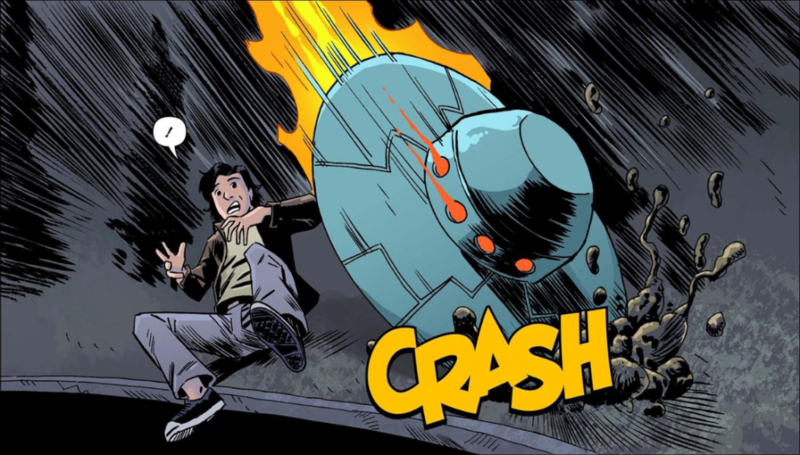 For the most part this book is friendly for all ages except for a couple end panels, one of which is oddly gory for a book that really comes off as a kid friendly read involving a couple of police officers who meet a rather gruesome demise, locking this one in as teen and older. This may be a missed opportunity in the end as the panel I speak of really ads nothing to the story, but nonetheless this is a great read that I would highly recommend to ComicsForge readers. Fall is currently available in digital format via Graphic.ly for $3.99.